When you’re training to build muscle, you learn quickly that everything works but that nothing works forever. The basic 3 x 10 approach from your high school football days probably hasn’t been effective since, well, when you played high school football. As you progress, you learn that every aspect of a given workout is but a single piece of the strength-training puzzle, and that each of those pieces can be modified individually to achieve a different effect and greater results. Whether it’s increasing the weight, adjusting volume, or switching exercises, you’ll undoubtedly begin to see what works for you. But as you advance in your training, this gets harder and harder, and so it becomes important that you include more advanced training techniques so you can keep progressing. One of those advanced techniques is called drop sets. A drop set is when you perform a set of a given exercise to the point of fatigue or failure, and then change a variable in a way that allows you to continue performing the set. Keep in mind: Everything can be treated as a variable in this equation. In traditional drop sets, the variable is the weight itself — you reduce, or “drop,” the weight once you reach fatigue, allowing you to perform a few more reps with a lighter load. These are also known as strip sets, because you’re stripping the weight off the bar. All told, this is a decent technique, and yields results, but it can be made better in so many ways—but first, you need to look at the way that the weight affects the muscle. Without falling too far down the rabbit hole of muscle research, it’s enough to say that in most cases, more weight means more muscle recruited — and that means more muscle built. Therefore, while drop sets are great, they suffer from the inherent issue of forcing you to use lighter weight as you progress deeper. With each subsequent drop, you’re decreasing load. While you’re still doing more work and getting closer to failure than traditional sets allow, you’re not making the best of the heavy weight. In order to eliminate that deficiency, the goal would obviously be to keep using heavy weight — but how can you manage that if you’re fatiguing further and further with each rep? What Are Mechanical Advantage Drop Sets? When we talk about mechanics in training, we’re really discussing positional adjustments as they apply to increasing or decreasing the leverage you’re using to lift the weight — and, therefore, the ease (or difficulty) with which you can perform the exercise. This leads us to Mechanical Advantage Drop Sets or MADS, a type of drop set in which the variable is not the weight, but the exercises you perform with that weight. 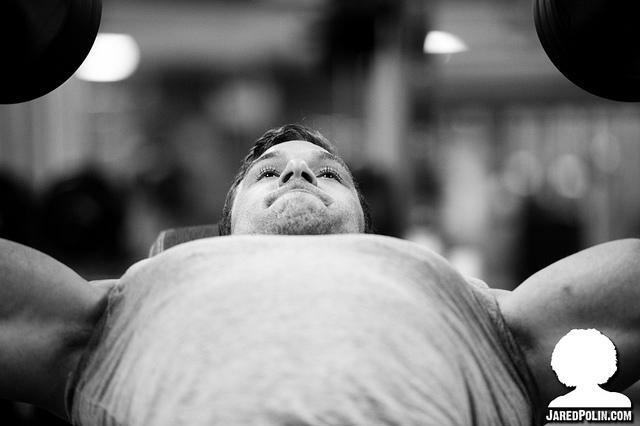 As an example, you probably notice that it’s easier for you to perform a bench press with a lower incline and harder to perform it with a higher incline. As you increase the incline, muscular leverage changes unfavorably, as does recruitment of individual muscles. More specifically, as you increase the angle and the incline gets higher, you place less emphasis on the chest and more on the smaller, weaker muscles of the shoulders. Put in terms more relevant to this article, the higher incline is mechanically harder. To set this up into a Mechanical Advantage Drop Set, you would start the chest press at a high incline, work to failure/fatigue, then drop the incline a bit. That is, with each successive set, you lower the incline and continue to work. You’ll wind up being able to perform several more reps despite being fatigued. This is because you’re stronger in that position (lower incline) than you were in the previous one. In this video, fitness author Vince Del Monte performs a Mechanical Advantage Drop Set of pull-ups with my guidance. Vince starts out with a wide-grip pull-up. With his hands pronated and his arms splayed out, he is in the weakest mechanical position, based on which muscles will be at work in the exercise, as well as how the leverage of his arms will come into play. By changing his hand and arm position from the weakest to ones that are more mechanically advantageous, Vince is able to perform more reps with each successive change, even though it’s obvious that he’s gone to failure on the previous set. Despite the fact that he is fatiguing throughout the entire ordeal, by moving from weaker to stronger position, Vince completes an impressive number of reps, allowing for increased time under tension without a decrease in weight. Mechanical Advantage Drop Sets are better than traditional drop sets because the load doesn’t change. As I mentioned previously, with traditional drop sets, you’re keeping your position static and decreasing the weight to perform more reps. With MADS, the weight stays the same the entire time — the entire set is done with heavy weight. Now, as any bodybuilder will tell you, there is certainly some merit in training with lighter weights, at least in the sense that doing so allows you to train with high volume and frequency without impeding recovery too much. But, speaking generally, most people are going to get a lot more out of consistently using more challenging weights. Not only will you get stronger, but lifting heavy weights also has more applicability to relative strength and to sports. Finally, training with heavier weights is better for fat loss, at least when compared to similar volume and rest periods. With Mechanical Advantage Drop Sets, your weight is consistently heavy, and you get to push to fatigue and beyond, forcing more and more muscle fibers to be recruited with each rep and each mechanical change. It’s an advanced method and certainly isn’t easy. but if you’re looking for a way to challenge yourself and force your body to grow, I think you’ve just found it. Give this method a shot, and let us know how you like it in the comments!